When it comes to financing a car, the rich truly are different. "It is not a matter of cost; it is not what your monthly payment is," said a spokesman for Rolls-Royce Motor Cars North America. "Like everything else we do, it is bespoke -- tailored to the needs of the customer, how their business is structured, where the car will be domiciled and how it will be used." Whether ultraluxury buyers finance or lease usually depends on a number of factors. "The truth of the matter is, it boils down to a financial proposition," said Christopher Miele, general sales manager for Paul Miller Rolls-Royce and Paul Miller Bentley in Parsippany, N.J. Many high-end buyers have their own businesses and lease the vehicles for tax write-offs, he said. Because of the tax advantage, leases are favored similarly by his multimillion-dollar-contract athlete customers who use their cars for marketing -- as a way of keeping up their images, Miele said. Ultraluxury buyers generally prefer to lease their high-sticker cars, although a good number pay cash, dealers say. When they lease, the wealthy often go to an outside lender that specializes in ultraluxury vehicles and can appraise value and residuals better than a bank can, according to the experts. Or they finance with an automaker's captive finance arm or preferred lender to take advantage of promotions and special dealer offers. Captives and banks typically offer closed-end leases, in which the lessee turns over the keys and walks away from the vehicle at lease end. Specialists can offer open-end leases. The residual value on the vehicle must be paid off in a lump sum, called a balloon payment, at lease end. But the customer can opt to eliminate a cash outlay by writing another lease on the vehicle that finances the residual. Specialists also aren't restricted to traditional deal structures. Leasing specialist Putnam Leasing, of Greenwich, Conn., can lease the car in the buyer's business name but have it registered and insured in the owner's name, Rolls-Royce store exec Miele said. "They will massage it around and know he is the same guy. We're OK with it -- a regular bank won't do that." Steven Posner, CEO of Putnam, said he works through dealerships and offers open-end leases from 12 to 60 months but will extend to 72 and 84 months. Because the Putnam leases have a balloon payment, the monthly payments are usually lower than with conventional financing, he said. Putnam also wraps the sales tax into the lease payment -- the captives and banks typically don't -- and that can mean avoiding a heavy initial hit, Posner said. For instance, there is an upfront sales tax payment of more than $90,000 on a $1 million car in California, he said. "Two years from now, if you go to sell, you have to consider the $90,000 is gone, and there is no sales tax credit in California." And Putnam doesn't report the leases to credit bureaus unless the customer wants it to. "That is a huge thing for many people," Posner said. Miele said his Rolls-Royce store -- which is about 42 miles from Manhattan -- tends to have a high percentage of cash buyers, although they usually have a high-end trade-in vehicle. When they don't pay cash, about half of Rolls-Royce buyers and 35 percent of Bentley buyers finance rather than lease, he said. 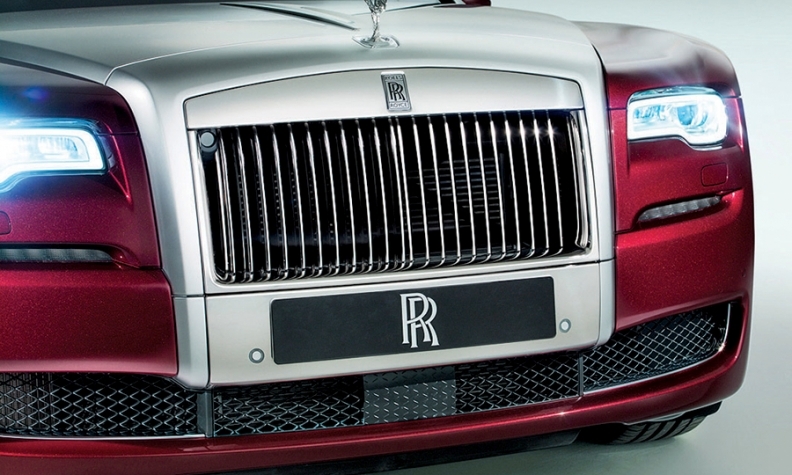 "Rolls-Royce buyers tend to keep their cars longer," Miele said. Rolls-Royce and Bentley's captive finance arms have an advantage over banks: They offer loyalty, conquest and dealer cash programs to move cars, Miele said. "Then, like every other company in the world, finance runs the deal," he said. About 1 percent of the Rolls-Royce store's profits come from arranging financing and F&I product sales, Miele said. The dealership also gets 1 percent of the amount financed by Putnam, he said. Most of the F&I is done in the store rather than online. Wall Street buyers come in themselves, but athletes hand it off to others who do the deal on their behalf, Miele said. The F&I products vary; for instance, on the Rolls-Royce side, there are about a dozen, ranging from extended service contracts and wheel coverage to a clear protective film to protect paint or tinted windows. Miele said there's even a key warranty because, depending on the brand, replacement of a lost key can cost as much as $1,000.